The KTH’s Centre for a Sustainable Built Environment – CHS invites you for a panel debate followed by a welcome reception. The conversation will be held in English in association with the conference Crime and Fear in Public Places 17th-18th October, organized by the network Safeplaces, KTH. The recent Swedish election campaign put significant emphasis on questions of crime and safety. Politicians claimed to “respond to people’s anxieties” by promising harder measures against presumably rising levels of violence and crime, to combat the emergence of so-called “no-go areas” and to guarantee public safety. While the provision of safe, accessible and healthy environments is listed as part of the UN sustainability goals, the implications of safety are far from certain, however, and the implementation remains a challenge. Current research supports a more complex understanding of the relations between gender, security, safety and space – making distinctions between reality and perception, adding nuances and layers as to who’s affected by crime, how and where. Aiming to promote cross-disciplinary exchange, this conversation gathers researches with different kinds of expertise to initiate a discussion on the politics of fear and safety, and how planning can deal with uncertainties and insecurities. Catharina Gabrielsson is docent and researcher at the School of Architecture, and Director of the Centre for a Sustainable Built Environment at KTH. Her research bridges across aesthetics, politics and economics in combining fieldwork operations with archive and literature studies. She has published extensively in international journals and anthologies, recently as co-editor of a special issue on Architecture and Capitalism, Solids and Flows (Architecture and Culture: Vol. 5, Issue 2 2017). A forthcoming volume, Neoliberalism: An Architectural History (edited with Kenny Cupers and Helena Mattsson) will be published by University of Pittsburgh Press in 2019. Annika Carlsson-Kanyama is is a docent and researcher at the Department of Sustainable Development, Environmental Sciences and Engineering (SEED) at KTH. She conducts research about climate change adaptation with special focus om methods for handling uncertainties and is also involved in research about sustainable consumption with special focus on food and urban agriculture. 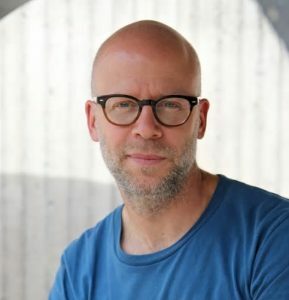 Erik Stenberg is Associate Professor in Architecture at the School of Architecture and Assistant Director of KTH Center for a Sustainable Built Environment. KTH. He combines teaching and research, especially concerning the practice and politics of restructuring the large scale post-war modernist housing areas of the Million Program Era in Sweden. He has redesigned apartments, organized a housing fair (Tensta Bo 2006), researched and exhibited archival material from his growing collection, started an introductory architecture school in one of Stockholm’s largest modernist housing areas, and lectured extensively nationally and internationally. Erik is the project leader of Grön BoStad Stockholm, a 3 year 62 MSEK EU structural funds project with the aim to make the housing sector in the greater Stockholm region smarter, greener and more socially sustainable. Jonathan Metzger has a PhD in Economic History and is Associate Professor at the Division of Urban and Regional Studies, KTH Royal Institute of Technology. He conducts research on decision making as it relates to environmental issues, with a focus on urban and regional planning, policy and politics. Much of his recent work focuses on the politics of calculating the economic value of environmental damages and amenities. Jonathan has edited a number of books and has published in leading international journals in subject areas such as planning studies, geography and organizational studies. He is a member of the editorial boards of the international journals Planning Theory, Planning Theory & Practiceand Fennia: International Journal of Geography. Vania Ceccato is a Professor at the Department of Urban Planning and Environment, School of Architecture and the Built Environment, KTH Royal Institute of Technology, Stockholm, Sweden. 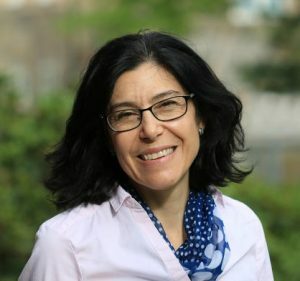 She coordinates the national network Safeplaces (Säkraplatser) funded by The Swedish National Crime Prevention Council (BRÅ).Ceccato’s research is on the situational conditions of crime and crime prevention in urban and rural environments. She is interested in the relationship between the built environment and crime and perceived safety, in particular, the space-time dynamics of crime and people’s routine activity. Gendered safety and the intersectionality of victimisation are essential components in her research. Main research areas are transit safety, crime geography, housing and community safety, rural crime, retail crime. She has published in international journals, mostly in Criminology, Geography and Urban Planning and is the author of several books. For more details, see her professional profile here.